All of the wit and romance of Jane Austen’s classic 1813 novel come to life in this refreshing and engaging adaptation. Finding a husband is hardly Elizabeth Bennet’s most urgent priority, but her four sisters and overzealous match-making mother make it difficult to escape the subject. When the independent-minded Elizabeth meets the handsome but enigmatic Mr. Darcy, she is determined not to let her feelings triumph over her good sense. 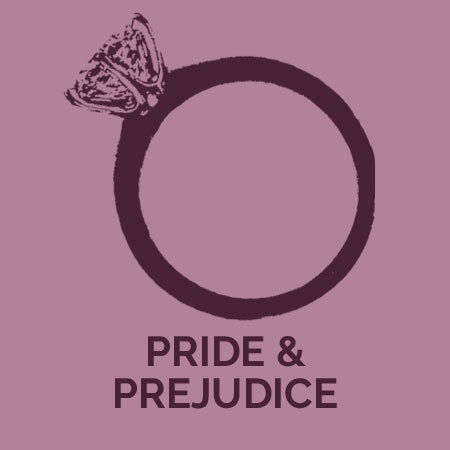 In a society where snubs and deceit proliferate, is it possible for Elizabeth and Darcy to look beyond his pride and her prejudice? Tickets are available by calling or visiting the Box Office. We are located directly across from the main entrance to Bracken Library. Our hours are Noon – 5p.m. and one hour before performances. We can be reached at 765-285-8749 during those hours. Tickets may also be purchased online.